New website font and other adjustments. MTrek › forums › mtrek forum › New website font and other adjustments. This topic contains 1 reply, has 2 voices, and was last updated by Squirel 3 years, 3 months ago. 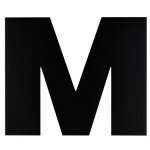 The API for mtrek.com’s font underwent a revision recently, which caused certain browsers to render text incorrectly (mostly letter transpositions with “f”, “l”, and “i” on mobile devices). I reached out to the dev, who was unaware of the issue, and was given a “week to 1 month” estimate for a fix… As amusing as it was to have “oiffcers” and “lfeets” of ships on the site when browsing via iPhone, I couldn’t wait that long, so I chose a new Google font altogether for now. Please let me know if you have any issues or even suggestions for a different font style. I think for now I’m ok with this one, even if it isn’t quite as interesting.